“It is a genuine pleasure to be associated with PG Music. By eliminating the need for an external tone generator and including a comprehensive array of real combo and orchestral instruments within the software, Band-in-a-Box has once again set a new standard of high quality. 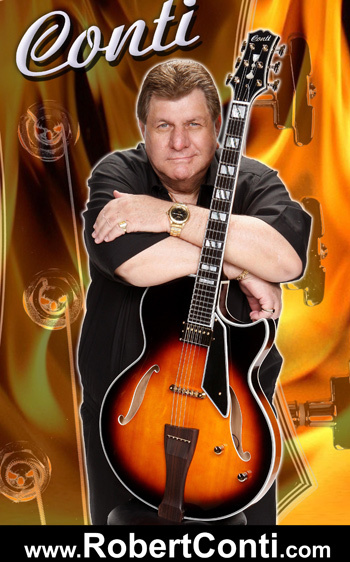 Renowned for his fluid, lightning-fast technique, jazz guitarist Robert Conti was born November 21, 1945 in Philadelphia; upon discovering jazz at age 12, he began teaching himself music, and within two years was performing live in a series of local show groups. After high school, Conti toured the U.S. and Canada.